Combined with one or more OP-10R receivers, the OP-10T transmitter forms a mobile wireless system for speech transmission, for example, for guided tours or speeches in multiple languages. The wireless system transmits in the 790-814 MHz UHF bandwidth on 16 fixed channels. The range of transmission depends on the configuration of the places of use and can be up to 60m. 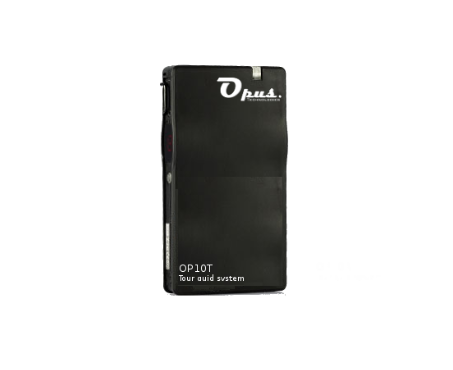 Supplied with a microphone, it can transmit the voice of a person to one or more receivers type OP-10R. Its Lithium battery offers an autonomy of 14 hours.